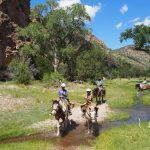 Geronimo Trail Guest Ranch has hosted many families and small reunions over the years but lately we are noticing a new trend. 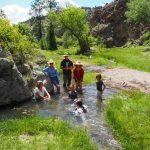 Grandparents and Grandchildren: Dude Ranch Vacation Experiences. Now, grandparents and grandchildren are traveling together. 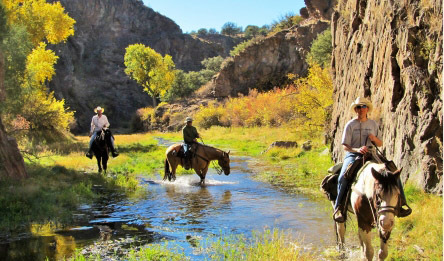 It is interesting to see the different motivations for their dude ranch vacation. 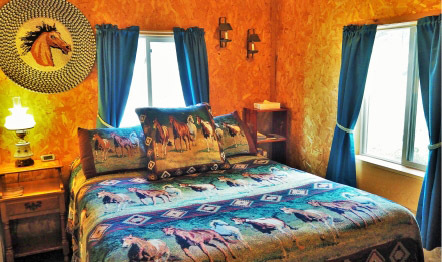 Some are fulfilling the dream of a horse crazy grandchild. 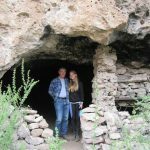 Some are on a road trip and want a unique place to stop for a few days. Some of the grandparents were involved with horses when they were younger but haven’t had the chance to ride in years. Now they are looking to recapture that magic. Others are getting on a horse for the first time! 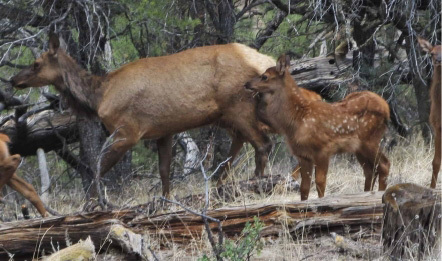 No matter the reason for choosing us, both grandparents and grandchildren are loving the freedom that a vacation at Geronimo Trail Guest Ranch provides. 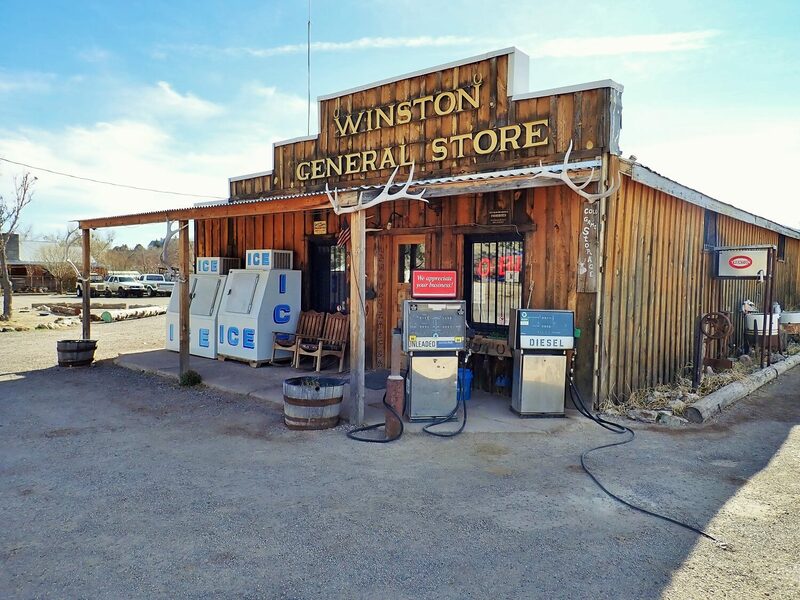 We are a small ranch and have plenty of opportunities for the kids to assist the wranglers. 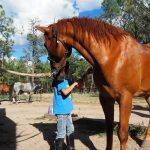 We are happy to teach them how to groom and tack up their horses. 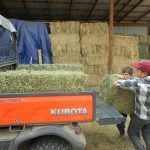 They can also assist with chores like scooping poop or feeding the horses. Of course, it’s not a vacation without play time as well! The favorite activity of many kids is learning how to rope. After a lesson from Meris, we often find kids practicing whenever they get the chance and hearing their excitement as they lasso “Buford” around the horns. 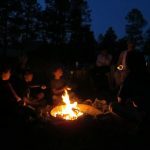 Another fundamental part of a vacation at Geronimo Trail Guest Ranch is the evening campfire. And of course, no campfire is complete without a s’more! It’s always lovely to see the s’mores knowledge that the grandparents pass along to their grandchildren. Singing is another staple around the campfire and our song sheet has tunes that all generations can sing along to. Here are a few reminders as you plan your vacation with us. 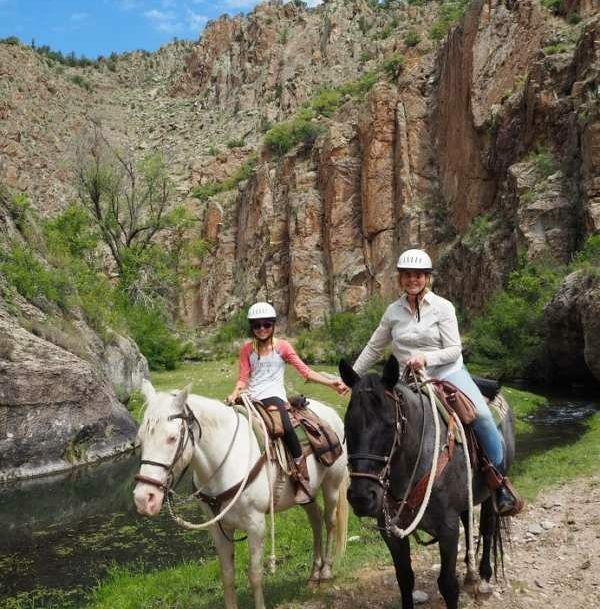 At Geronimo Trail Guest Ranch you will ride and play together as a family. 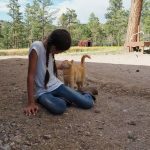 As we are a small ranch, we do not have dedicated children’s programs or babysitting services. The minimum age for children to ride horses on the trail is 6 years old. 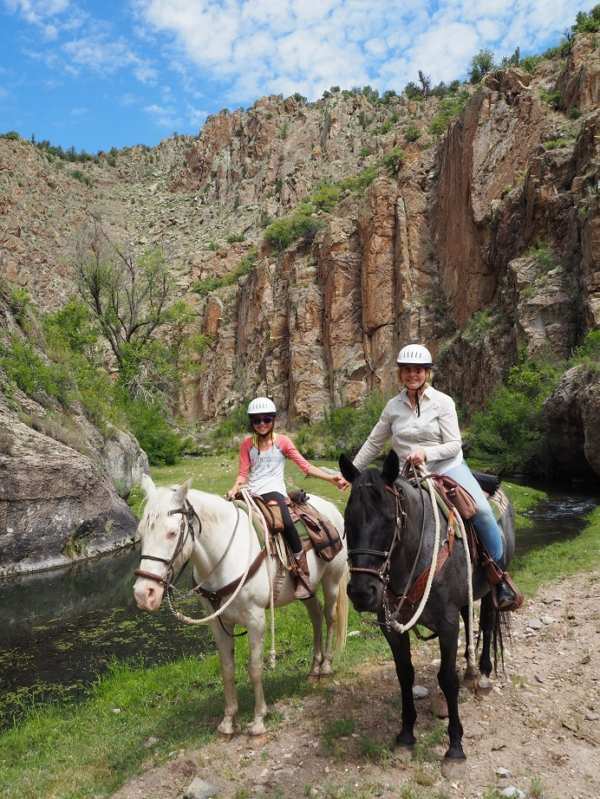 We do offer short pony rides on the ranch property for children younger than age 6. 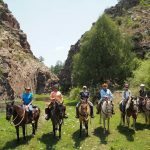 We have well-trained, gentle horses and can accommodate any level of rider. 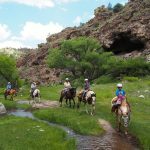 So contact us today to get the ball rolling on your Grandparents and Grandchildren: Dude Ranch Vacation Experiences. It will be a truly memorable vacation with your grandchildren!